Determination of die state serves several important functions. 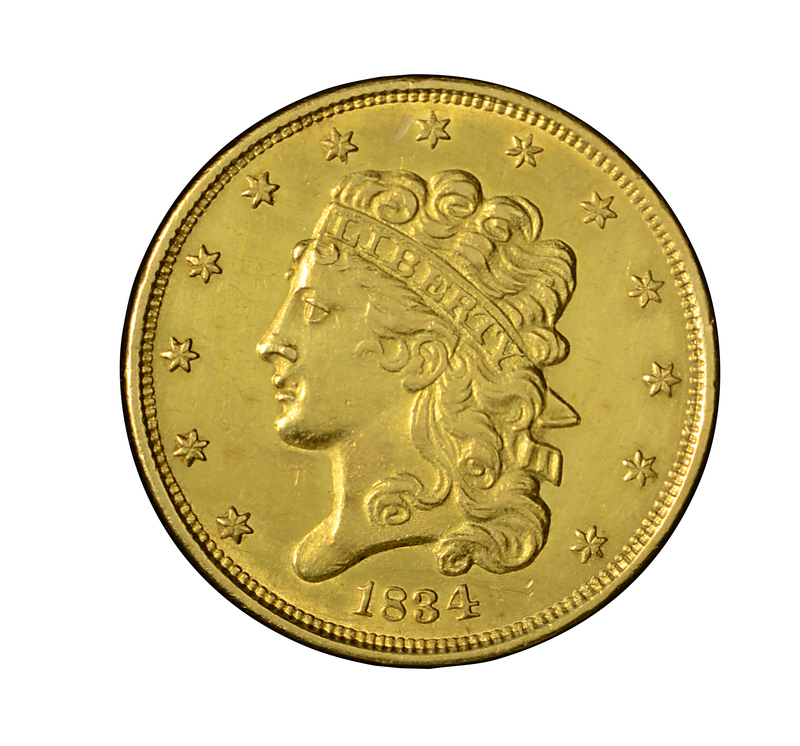 Specialized numismatists who study individual series of coins and their die varieties usually desire to know in what order the coins were actually struck. Such ordering is called the “Emission Sequence” for a group of coins. 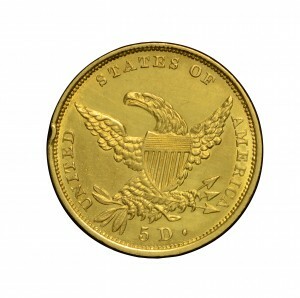 This was a numismatic aspect of interest to Harry Bass. Another important function involves authentication. 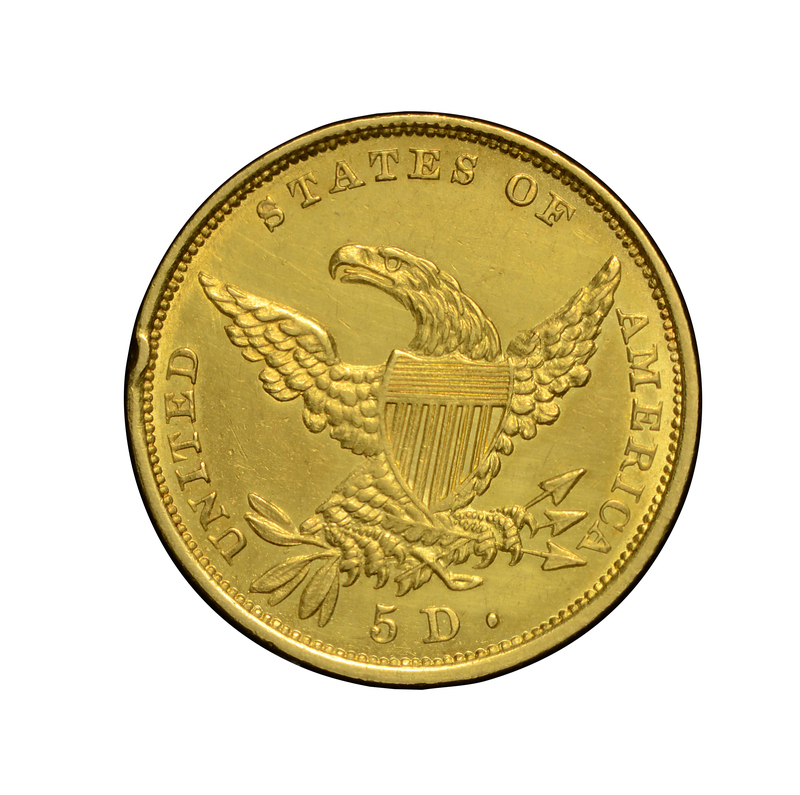 If an otherwise questionable coin exhibits a known die state, there is a better chance of authentication. 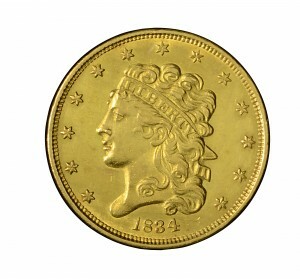 The obverse of this example exhibits fine die cracks, including a vertical crack from Liberty’s eye across the cheek to the corner of her mouth. Purchased from Edwin Shapiro, August 11, 1967. "Obv. Belted 8. Truncation markedly curved. Fat 4, centered under curl. Cracks: eye - cheek, hair - top ribbon end. Lightly lapped. REV. Tongued eagle. Middle leaves droop. Top arrowhead long, slender. Period distant from D. Crack: NITED. Berry remnant between top and middle lead pairs."